Cool industrial isn’t just an East End thing. 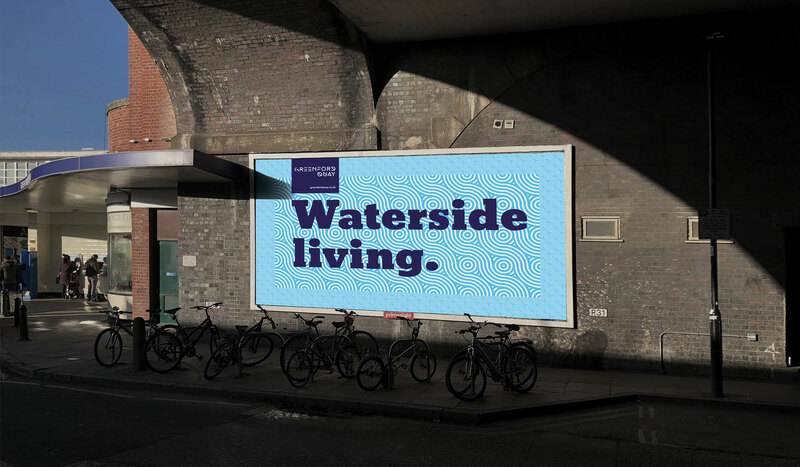 We’re helping developer Greystar shift the dial west and attract style-conscious professionals to a new canalside rental community in Greenford. 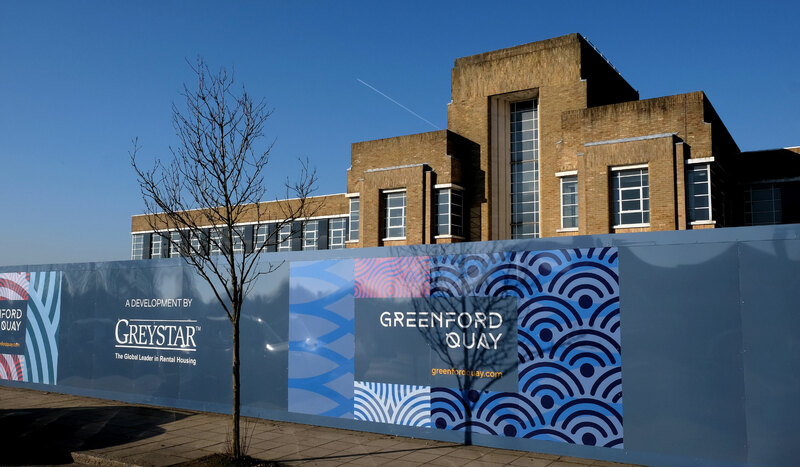 Developer Greystar have an ambitious vision – to create a large-scale mixed-use rental community with almost 2,000 homes, shops, cafes, a school and cinema, on a brownfield site in Greenford, west London. To achieve this, they first had to create a new vision for the site. 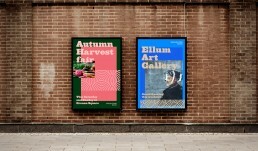 They needed a powerful brand that could make style-conscious Londoners reimagine this once-neglected area as a place where they could live and work. 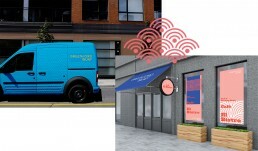 They also needed a plan to educate target audiences about their model, a new style of high-end rental living, with enhanced service and convenience, which is not well understood in the UK. 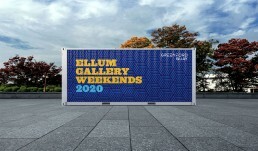 Hoarding designs now live across the site and future additional conceptual artwork. 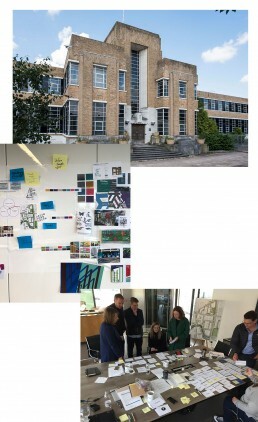 We began by immersing ourselves in the project through research, stakeholder interviews and a photographic study of the site and surrounding neighbourhood. We wanted to get to know the place inside out – and use this deeper understanding to inspire ideas for the new brand strategy and visual identity. The knowledge from this discovery phase fed into a series of facilitated workshops, in which we explored options and developed the leading vision for the brand. With this agreed, our creative team looked at how to express it visually – presenting a series of creative routes, working with the client to decide on a chosen direction. Because this is a new neighbourhood, a key element of the project was creating names for the site, key buildings, streets and a brand new bridge over the Grand Union Canal. Following a rigorous naming process we used historical references and the brand positioning as stimulus to generate a series of naming options, which we shortlisted in consultation with stakeholders. 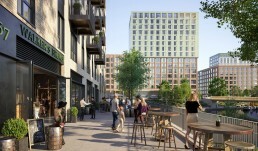 The chosen site name Greenford Quay puts the waterside location at the centre of the brand, while also rooting it in the locality and evoking local green spaces and woodland. As part of our creative process we drew on the site’s heritage as the former home of the Sunblest bakery and the former Glaxo headquarters. 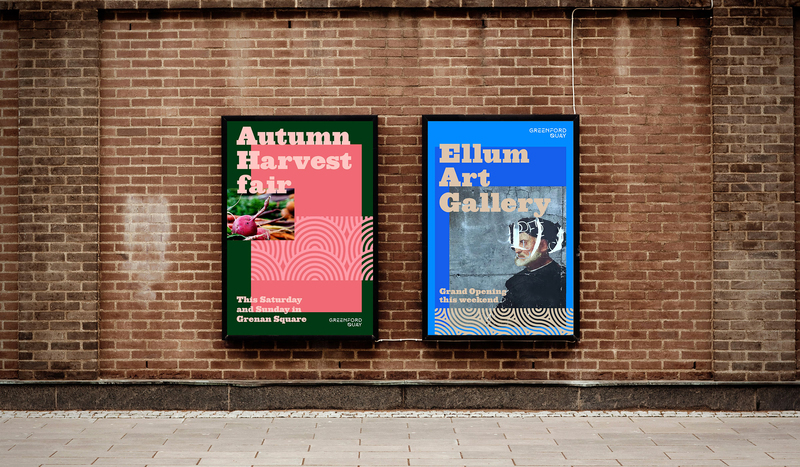 Research into the products once produced in the factories inspired colour patterns and visual themes which are weaved into hoardings across the site, adding layers of intrigue and interest. 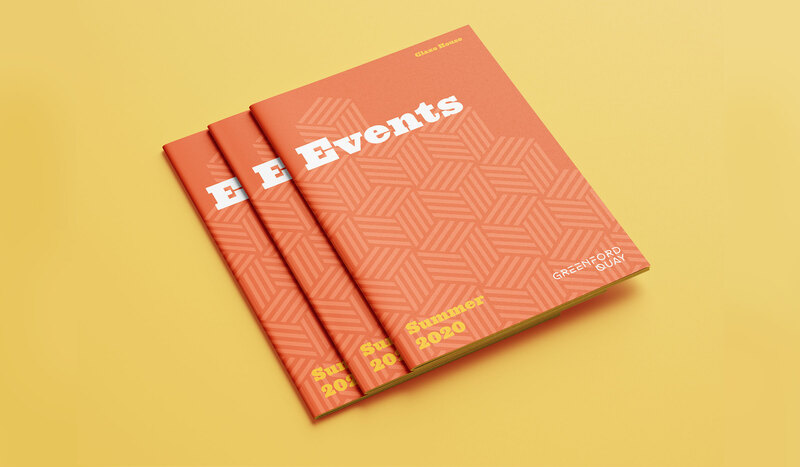 The chosen brand identity is strong but flexible enough to speak to a range of audiences and stretch as the development grows, with hard-coded core elements and a soft menu of typefaces and colour palettes for different types of event or campaign. 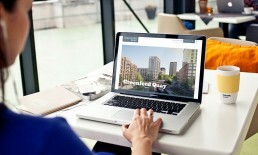 We also developed a website that brings the new neighbourhood – and Greystar’s enhanced rental concept – to life. It gives people a taste of how it will feel to live at Greenford Quay, with everything from communal workspaces to a cinema available on site. And showcases the convenience of a new kind of rental living where the landlord takes care of absolutely everything. As the project evolves, we will use the website to create a buzz of anticipation during the project’s construction and delivery phases, through news stories, events, and local history, promoted through social media. Other project ideas include developing public art and attractive street lighting that will brighten the approach to the site and create a stylish industrial feel as residents walk from the station. 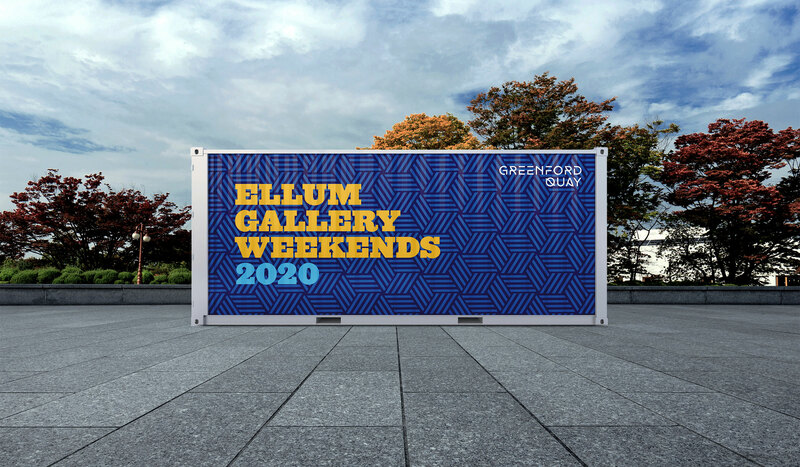 There are also plans for immersive activities, from food events to a floating cinema on the canal – giving people a reason to visit and talk about Greenford Quay. We’re continuing to work with Greystar as the development takes shape. They’re delighted to have a brand that stands out in the market and is helping to rebuild perceptions of the area and help people see the benefits of build-to-rent – still a new concept in the UK. 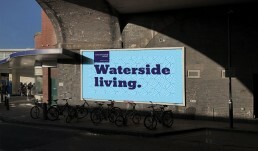 We’ve created a positive buzz of anticipation and a strong sense of place around a new canalside neighbourhood, firmly rooted in its heritage and locality. That, in turn, is increasing the attractiveness and value of Greenford Quay among target audiences.